The #MetLifeTakeover was such an amazing success this year. From our pre-party to our tailgate to our fundraising efforts to our impact from the stands to the score of the game everything was pretty much perfect. I didn’t take a ton of photos because I was too busy running around the whole time but I wanted to give you a quick rundown of the weekend and share some of my photos, but the real fun is going to be when you see the video we filmed at the game. It should be pretty incredible. The first group of photos are from our party on Saturday night at Slattery’s Midtown Pub. 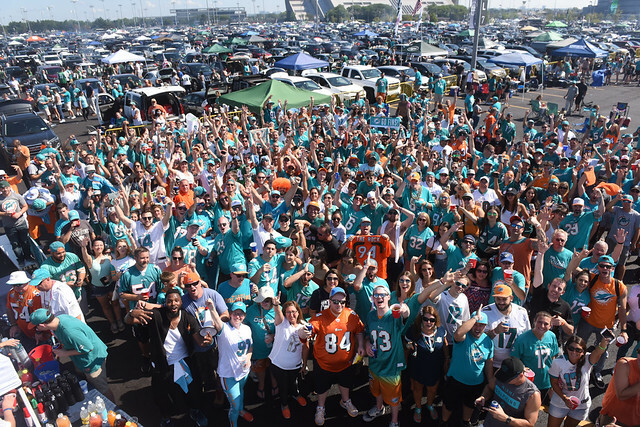 We had a great turnout and ended up raising about $1000 for the Miami Dolphins Foundation through our raffles and auctions. We had DJ Tropic spin and Solo D performed, or at least he tried to. The speakers at Slattery’s aren’t exactly ideal for a live performance, but it was still a lot of fun. I love this party we do every year. 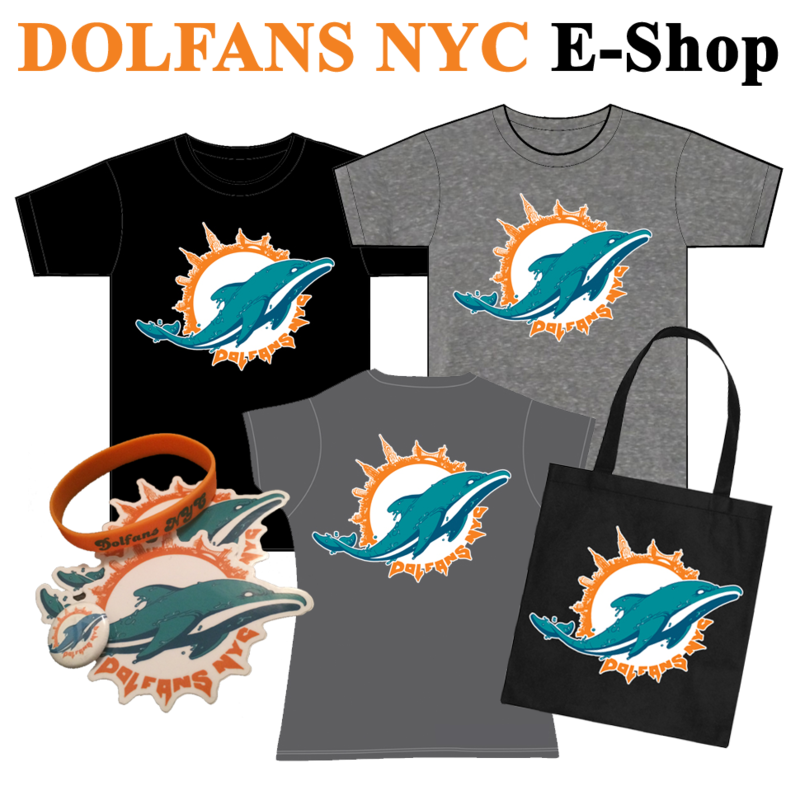 It gives everyone in from out of town a chance to meet up and check out our bar and our little Dolfans NYC museum we have in the back. The rest of the photos are from our tailgate which has to have been the best one yet. Last year we ended up partnering with Urban Tailgate at the last minute and things went great but we had some minor issues that all seemed to have worked out this year. It was also the second year in a row that Joe Rose filmed his show “Cup of Joe” live from our tailgate and this year his guests included the legendary Marks Brothers, Mark Duper and Mark Clayton. He also had Kim Bokamper as a guest who has always been super supportive of our group. Nat Moore also came to the tailgate for the 7th or 8th time which is pretty amazing. He was the first person from the Dolphins who ever checked out the club way back when it was at Third and Long and there were only a few dozen of us. Michelle and I also went on the show and donated a $2000 check to the Miami Dolphins Foundation to Jason Jenkins from the Dolphins, another one of our early supporters at the team. Once again DJ Tropic DJ’d at the tailgate and this time Solo D got some redemption from the bad sound the night before at Slattery’s. He played to a completely pumped group of people at the tailgate and the soundsystem was great. I took photos of his first song and then got myself up on Urban Tailgate’s UHaul so I could get a good group photo and I got to see the end of his set from a above and the crowd was rocking. It was so much fun to watch people just getting crazy hours before kickoff. That energy really carried over because despite the heat our section was loud and going nuts all game long. Obviously the game was amazing and our crew could easily be heard on TV during the game and our camera guy got his camera into the stands so we should have some really amazing crowd footage for the first time ever. So huge shout out to Curtis and his crew from RizeOptix and our buddy Oscar who hosted the video for us. I can’t wait to see the finished thing and I can’t wait for you to see it, but in the meantime check out this trailer Curtis put together! Lastly, we did a raffle for the Jason Taylor Foundation and they sent us a signed TJ jersey and we sold raffle tickets for it online, at the party at Slattery’s and all day long at the game, and we raised $1000 for the Foundation and then we as a club matched it. So that’s $2000 for the JT Foundation to go with the $2000 we donated to the Miami Dolphins Foundation. And that doesn’t even include the money we raised from merch and ticket sales. We are gonna be able to do a lot of good with the money we raised. Now it’s time to check out my photos from both days of the #MetLifeTakeover and we will be back soon with our epic #MetLifeTakeover video! This entry was posted on Wednesday, September 19th, 2018 at 2:29 pm	and is filed under Photos, Recaps. You can follow any responses to this entry through the RSS 2.0 feed. Both comments and pings are currently closed.